..Capa literally went to town with his expense account.. He took old friends like Pamela Churchill out for lavish lunches…. And dined several models..including Bettina Graziani, a bewitching Breton.. He introduced her to his favourite restaurant in Paris: a tiny bistro called Chez Anna, run by the eponymous proprietor, who cooked exquisite rustic French dishes. He adored it not least because Anna owned a pet chicken that would often sit perched on his table as he polished off yet another bottle of champagne. 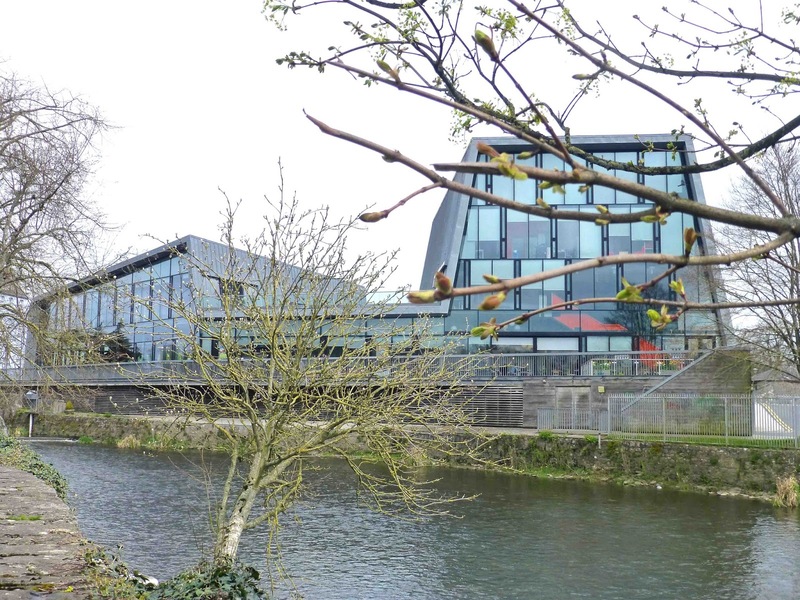 Time and time again, during our recent two day “immersion” at the Irish Whiskey Academy in Midleton, a few drops of water worked its magic at various tastings. Even when we were privileged to taste a 26-year old from a Bourbon cask in one of the warehouses. The bung was extracted and we examined the whiskey in the glass. “It has great legs, more viscous at this age, sweet with fruit flavours.” Then we added a few drops of water to cut the alcohol. Again the old H2O worked its magic, smoothing everything down a little, making it much more approachable without losing any of the essential character. I know it’s only five or six drops but it always amazes me that this most freely available of liquids (in Ireland anyhow) can be so influential on a more expensive liquids. grind down barley and malt to grist. And especially so if the ABV is higher than the normal 40%. 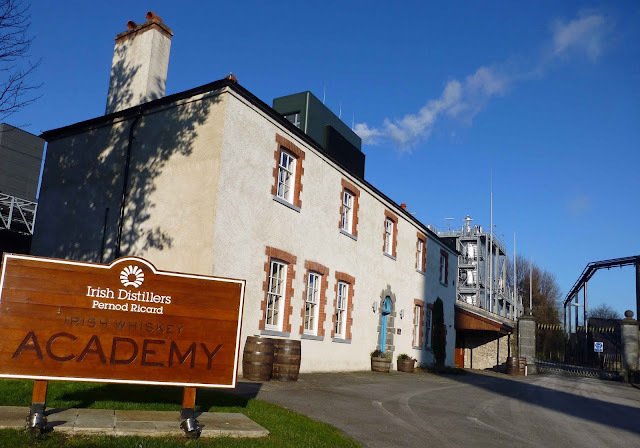 As it was in the on-site Irish Whiskey Academy, when we came to taste a New Make Pot Still Spirit whose ABV was, wait for it, 94.4%. It was fruity (mainly apple) and again the drop of water did the trick! Old-time whiskey drinkers knew this of course. That's why you see those water jugs in older pubs. The old wheel, still turning. And, of course, those few drops at the end of the whiskey’s life are just that. Water has been influential from the very start as it is a key ingredient. And that is why whiskey distilleries are located near a water source. Or more than one water source, which is the case with Midleton. 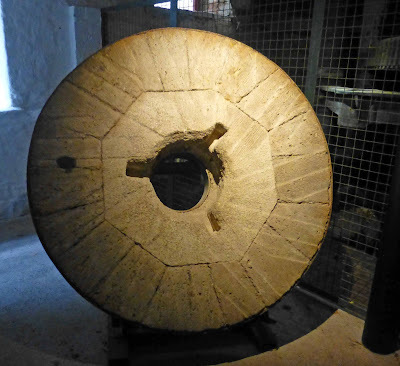 The most obvious source is the little river (not 20 kilometres long), the short Dungourney that flows through the town and, when you visit the distillery, you'll see the old giant water-wheel. 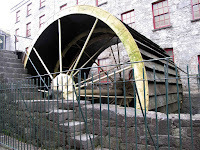 Sometimes the river needed a boost and in 1834, the distillery purchased a stationary beam engine from the UK to aid the water-wheel during periods of low water. That engine was still in use when the ‘old’ distillery closed in 1975. East Cork is an area rich in limestone and such areas have lots of caves. Just underneath the distillery, there are caverns full of nice cool water! The two other sources are bore-hole and the public supply. 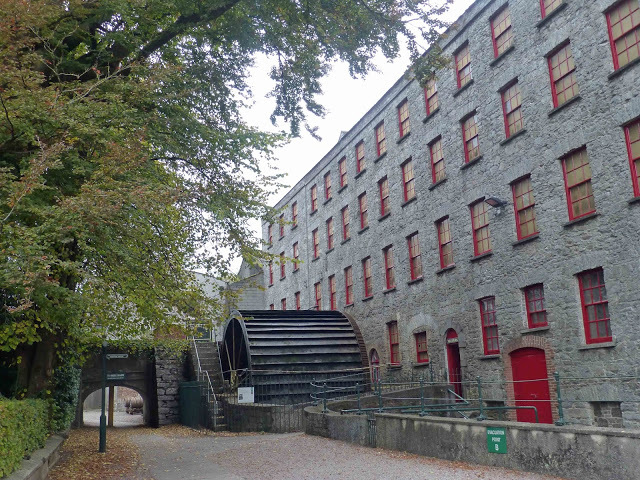 The river was originally the main source of soft clear water supply for the Old Midleton Distillery, hence the big wheel! It is clean but has minerals. Once treated at the water treatment plant, the water is used for various activities including: brewing, distillation, fermentation, feeds recovery and boiler feed water. The water from the cavern and borehole, located directly beneath the distillery, is ideal for cooling. It is used throughout the various processes: brewhouse cooling, still-house cooling and feeds recovery cooling. The town’s water supply is used to reduce the spirit strength (cutting). It undergoes a thorough filtration and demineralisation process in the reverse osmosis treatment plant before it is used in the Vathouse. 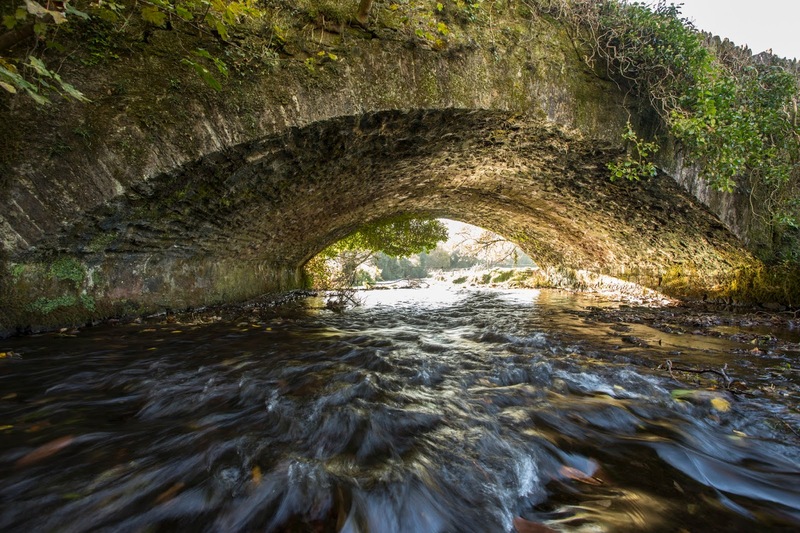 The first spirit was distilled in Midleton Distillery in the early 19th century, the river and cool cavern water playing a key role. But so too did the distillery’s access to nearby Ballinacurra (where the Dungourney goes to sea). 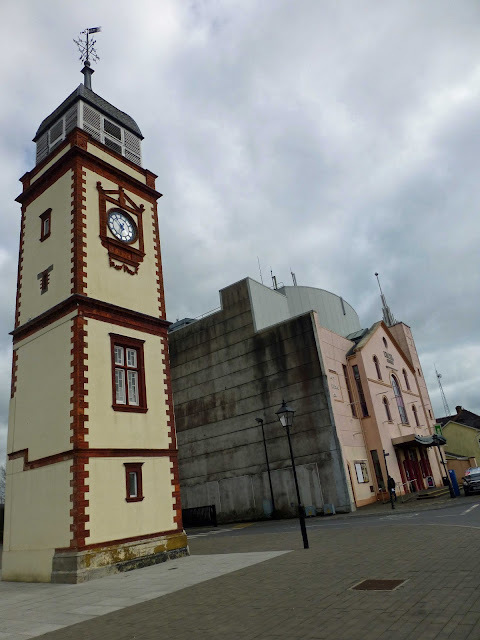 This easy access meant the the whiskey could be easily transferred by small lighters from Ballinacurra to the nearby port of Cobh and then onwards on salty ocean waters to countries throughout the world. Distilling continued on the original site for 150 years (with many up and downs) and, in 1975, the new distillery was commissioned just a short stroll away. The original site is now a tourist attraction but whiskey is being made there again in the company's new micro-distillery. The story, including the essential water, continues. See also: Whiskey. What's Wood Got To Do With It? This dry amontillado is the perfect match for meat dishes and mature cheese and vanished very quickly here, where it was used as an aperitif - so quickly, I didn't have time to take any notes. 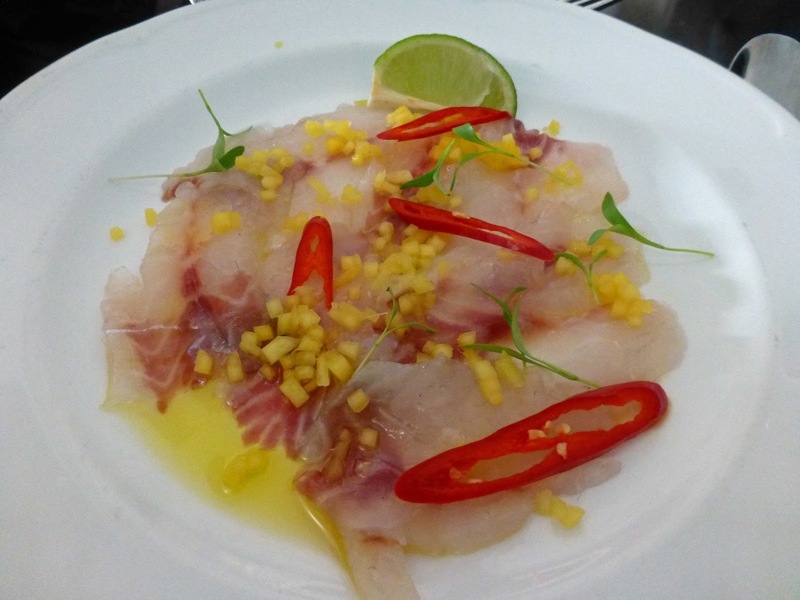 To get the best from its generous aromas and flavours, serve it at between 12 and 14 degrees. 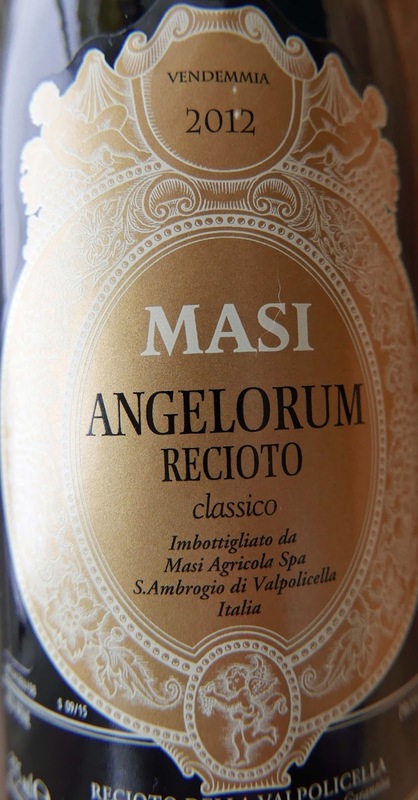 It has lovely amber colour, a rich almond nose, a nutty and tangy flavour and the superb finish goes on and on. And you can get all this from just one little sip. Very Highly Recommended. Enjoy, with all five senses, as they invite on the bottle. Had to pick up a sparkling wine in a hurry and got this Brut (dry) in at the local Aldi. A few hours later, I was very impressed with it. This sparkling Chardonnay, made using the same methods as they use in making champagne, was perfect for our little celebration. It is not lacking in complexity, has light fruit flavours, a hint of biscuit (that you find in champagnes), and a fine finish. Good price too. Very Highly Recommended. “Wine tastes better in a tee than in a tux”, Barefoot say. So you’re thinking cheap and cheerful, nothing wrong with that and nothing wrong with this Merlot either. This is smooth and warming, full of raspberry and blackberry flavours, mild tannins, well balanced too and with a decent finish. It is an easy-drinker and good value. Thought this was an American brewery but they are from Manchester. Brexit or not, this is an excellent beer, a superb IPA. You’ll get hoppier but the balance here is spot-on and as a result, the beer is well worth a try. You may not get it in Old Trafford or The Etihad but you’ll certainly find a bottle in Bradley’s. St Bernardus has quite a smile and his abbey beers deliver every time. As they do with this perfect wheat beer. This traditional Belgian wheat beer is more or less a perfect example of the type, with clove notes, very refreshing, your perfect thirst quencher. Thirsty? Bradley’s have this answer. Another big delivery from the Belgians, the big here referring to the alcohol at 10%. Not a big worry though; the beer is perfectly balanced between malty, bitter and sweet. It has fruity aromas, is full bodied with a hoppy touch on the finish. 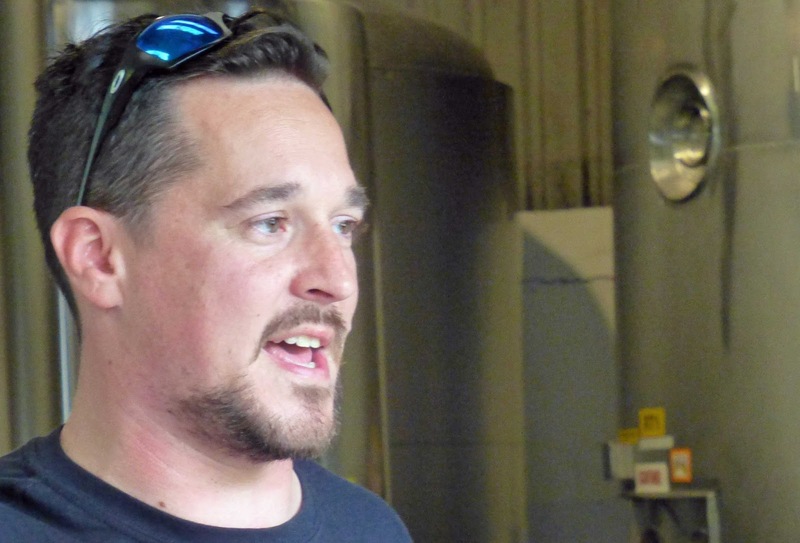 They say: It is the pride of our stable, the nec plus ultra of our brewery. Abbey ale brewed in the classic 'Quadrupel' style of Belgium's best Abbey Ales. 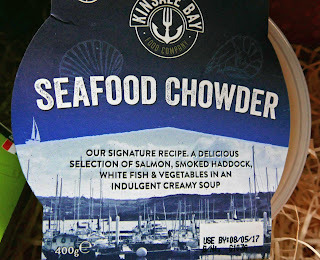 I visited the Kinsale Bay Food Company’s premises last week. 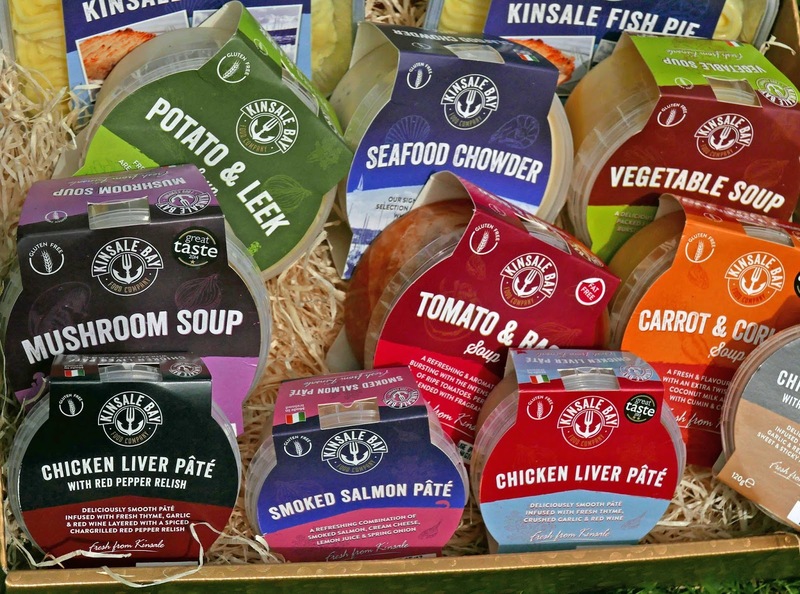 With a name that includes Kinsale, you'd expect some fish products. And you won't be disappointed. But there are also lots of soups, chowders, patés, even Shepherd’s Pie and Cottage Pie. And all are Gluten Free. GF is a growing market, and not just for coeliacs! According to a very recent report by Bord Bia, one in five Irish people are regular gluten free shoppers, though if you look at the accompanying infographic you’ll see that it is one in five shoppers. Even so, it is a massive number considering only 1% of the Irish population have been medically diagnosed with coeliac disease. 1 Gluten Free brands need to challenge mainstream. 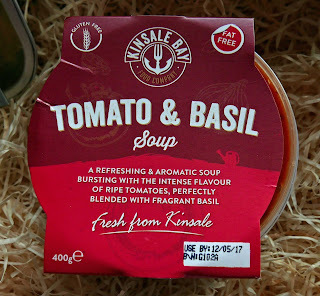 Thanks to Aoife Barry (Market and Area Manager, South-West), I visited the Kinsale Bay facility at Little Island and have been sampling the produce since and it seems to be that they didn't need to be tipped - they are already up to speed. General Manager Tommy Doyle emphasised freshness. “We worked with local suppliers to get the freshest daily supply of quality ingredients… we don’t store here..by the end of the working day, there may be a half bucket left…Everything we sell is produced here.” Suppliers include Matt O’Connell Seafood, Keohane’s Seafood, Daly's Seafood while fruit and vegetables come from Allfresh Wholesale. Some of the Kinsale Bay staff in Little Island. 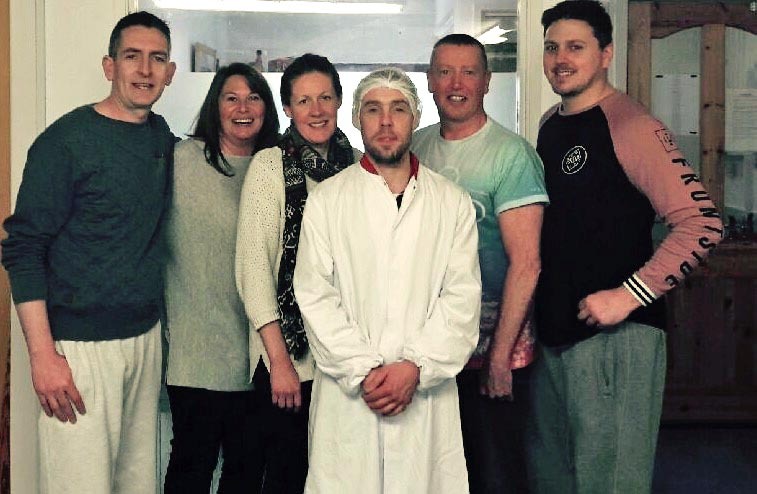 Then it is over to the chefs in the Kinsale Bay kitchens, who work in really modern facilities, streamlined from start to finish. There has been a lot of investment over the three years. 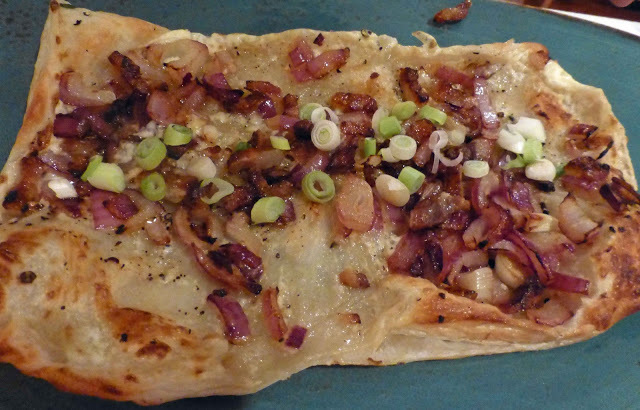 And they have developed recipes that are bursting with flavour and texture, which makes eating a gluten free diet an enjoyable dining experience. No artificial preservatives and additives are used thus ensuring the highest quality and wholesome taste. No compromise here. Eleanor Downes, the Quality Manager, gave me a tour. Precautions are strict here but, booted and suited up, wristwatch off, nothing loose allowed, we started and there would be more changing and hand-washing as we moved from one unit to another. 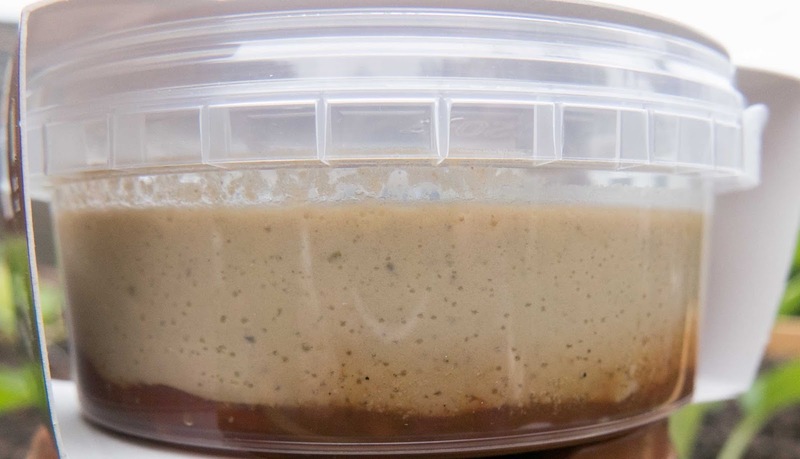 Your paté comes with its own relish. Cool! Hygiene is paramount, lots of checks during and after production. “With the highest standard of diligence we ensure that no gluten containing products are on the production site, to eliminate risk of cross contamination.” And, while checking the ingredients, I was delighted to see no big confusing words in the lists! No mono-this or poly-that! And so we moved through the various processes: soup production, chowder filling, regeneration process, blast chilling process, X-Ray (that’s why I left my watch and mobile in reception) and packaging, packing and storage and then dispatch. The company, then called Blue Haven, started in 2008 selling in a small way at the Kinsale town market. Then they spread their wings, and awards (Great Taste and Blas na hEireann) came their way. 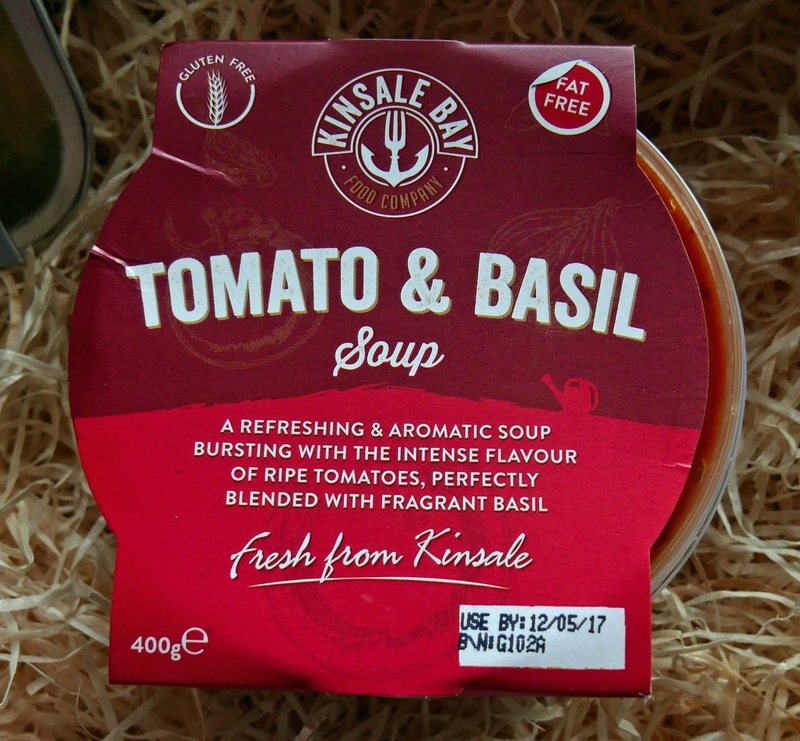 About three years back, there was a change of ownership and Kinsale Bay Food Company emerged. So, what will we start with? A soup perhaps. Quite a choice: Vegetable, Tomato and Basil (might be my favourite! ), Carrot and Coriander, Mushroom, Potato and Leek. And the Chowder is excellent too. Then move on to a paté. Can't wait to try the Smoked salmon. The Chicken liver comes three ways, all smooth, one is just chicken liver, the second with Red Pepper Relish, the third with onion marmalade. By the way, the “jam” is pumped into the small container first, the paté added later; so no need to go and buy a separate relish as it’s included. Very convenient. Very tasty too. And now lets finish with the Kinsale Fish Pie, a dual award winning recipe based on fresh salmon, white fish, and smoked haddock chunks. Lots of good stuff there and they have recently added Shepherd's Pie and Cottage Pie. 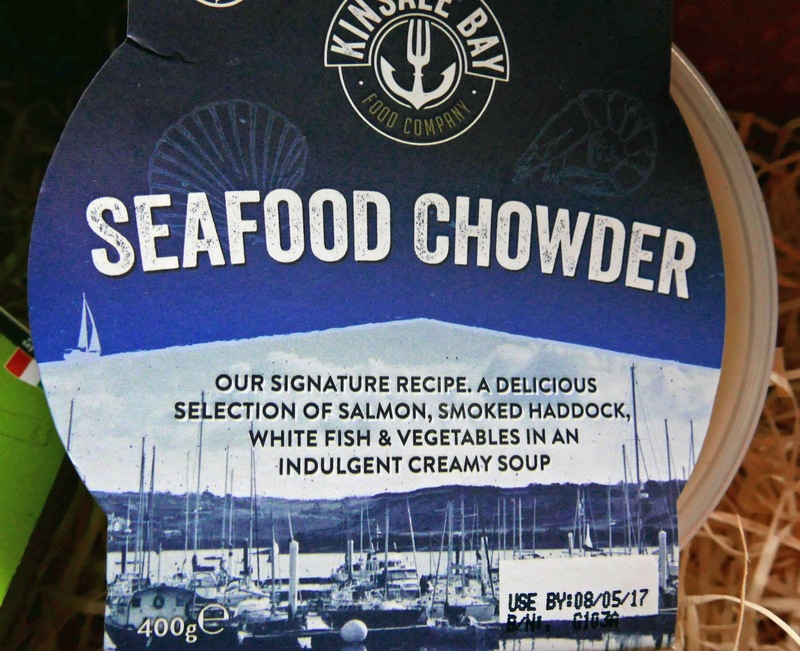 New packaging and a new website on the way too so its all happening for Kinsale Bay. 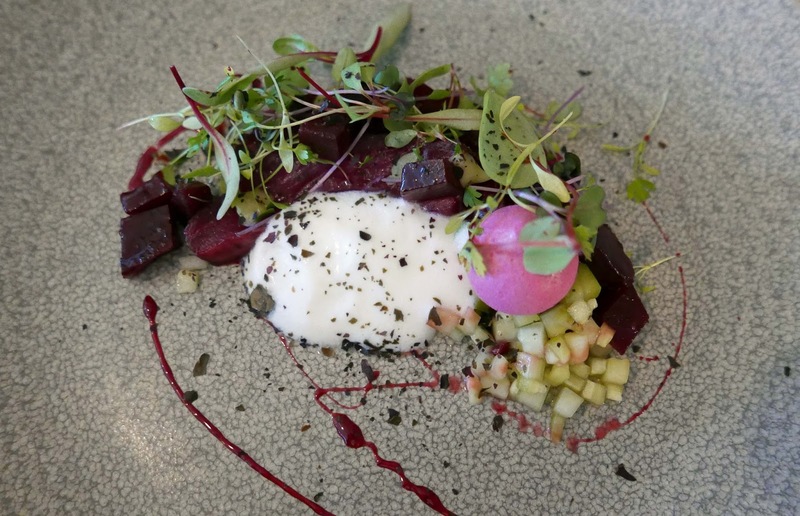 “Success breeds success” according to the old adage, and that certainly seems to be true for Sligo Food Trail who are shining a bright light on quality food in the county. The latest venture by this proactive group is a video entitled ‘Taste the Sea’ highlighting their many members along the Wild Atlantic Way and celebrating their food connections with the sea itself. Much of Sligo lies within easy reach of the coast and even the origins of the county name itself (derived from ‘Sligeach’ meaning ‘a shelly place’) hint at the historic links with the Atlantic. Taste the Sea showcases Ireland’s Earliest Takeaway, a seashore exploration with archaeologist Auriel Robinson and mussel tasting experience on the seashore with Tra Ban Restaurant, oyster tasting from Sligo Bay with Wild Atlantic Oysters, a visit to award winning restaurant Eithna’s By the Sea in Mullaghmore and the inimitable Sushi Sisters with their delicious street food stall at Strandhill People’s Market. The interactive Food Experiences are a keystone of Sligo Food Trail’s offering combining activities and food. 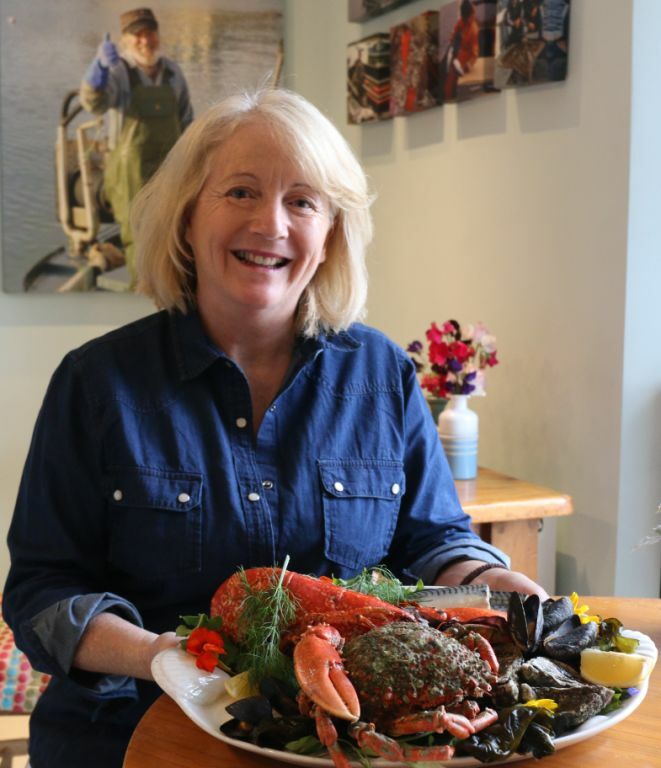 They encourage people to truly engage with the wonderful landscape giving just a taste of the delicious seafood on offer and making the Trail a really memorable part of their holiday. “We’re thrilled to launch ‘Taste the Sea’ just in time for the tourist season. Video is proven as an effective way to reach visitors, showcasing our wonderful county around the world”, said Anthony Gray, Chairman of Sligo Food Trail, “Many of our members are along the Wild Atlantic Way and this video highlights them as well as some of the more than 30 popular Food Experiences which we have developed”. 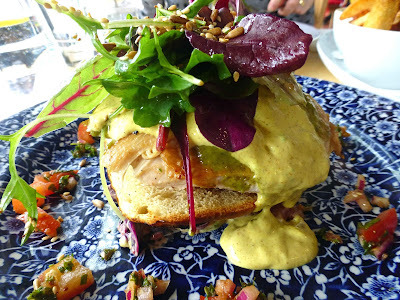 The short, engaging video is one of a series of four Sligo Food Trail are making, featuring lively background music, from local group Moxie. The next in the series will be launched shortly and the entire series will be available on the website, on social media and through member websites. Sligo Food Trail experiences are available for adults and families, and sometimes just for the younger foodies like the pizza making workshop for kids. Discover the superfood that is seaweed with an expert guide Dr. Prannie Rhatigan– and learn how to harvest and cook with it too. There really is something for everyone from dining in the dark to whiskey, wine or craft beer tastings, tasting tours and from surfing and SUPping to foraging on the seashore or inland. Some Experiences are just an hour long, others a full day and several involve overnight accommodation – along with a tour of a deer farm or a chance to find your inner shepherd. Go into the wild outdoors in the caves or megalithic tombs of the Ox Mountains or whet your appetite for adventure, paddling on Lough Talt. Stay indoors and try bread making, a fermentation or jam making workshop. Or sit back, relax and enjoy a traditional afternoon tea in style. They’re really worth checking out. The 70+ Sligo Food Trail members are an exciting mix of producers, markets, cafes, restaurants, craft beer, gastro pubs and accommodation scattered all around the county. Many are on the Wild Atlantic Way and others draw visitors inland to discover less known areas of this lovely and fascinating county. Since the Trail was launched just over a year ago, a steady stream of awards has been won by different members. 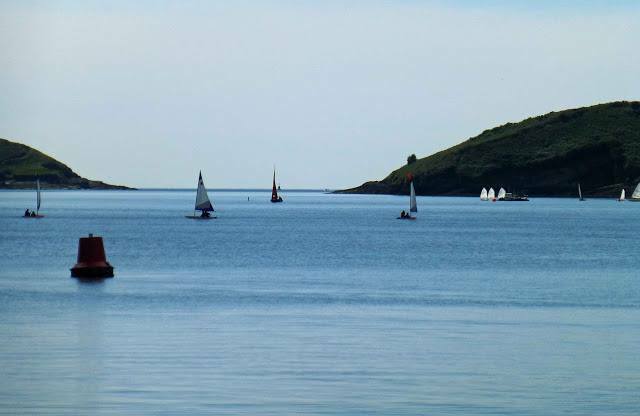 The sun came too as the Munster Wine and Dine members headed for Kinsale last Friday. The major calls were to Black’s Brewery (and Distillery now) for a tasting and tour and, after a drink at The Spaniard, dinner at the Man Friday (long established but with a new kid on the block). 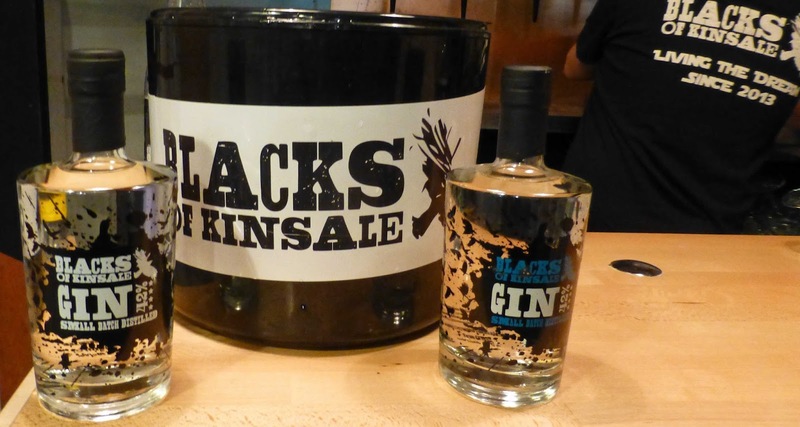 The Blacks have been making gin for the past two years or so and there were many versions before Maudeline felt happy with it. Think we all felt happy with it, after the on-site tasting on Friday. “Angelica and orris root combine with liquorice, juniper and coriander whilst distinctly citrus notes linger at the end to enhance a dry finish” is the official tasting note.It is available in Dunnes Stores and at many independents as well. Maudeline, who instigated the gin-making, and husband Sam have quite a range of beers but the 1601, named after the famous local battle that had national implications to say the least, is their first lager. Sam explained a few things about lager as we sipped the flavoursome drink. 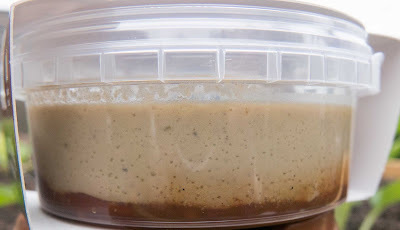 “A different type of yeast is used, it is cold fermented, takes longer to mature and this one is also gluten free”. Sam then took us around the brewery - the gin is in the same building but in a separate compartment which we saw a little later. We would also sample their best seller, the Kinsale Pale Ale. 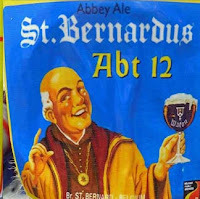 “Hops add flavour here and also counteract the sweetness of the barley”. As the tour went on he answered questions on the functions of the various tanks and so on. People wanted to see the bottling but that is contracted out. Canning though is done on a regular basis by a mobile canning machine that calls to the site. Heather and verbena may be among the local botanicals in the gin, he hinted when we reached the distillery. “Each batch may be that little bit different but it is always good,” he promised. By the way, his alcohol is whey based and comes from Carbery in West Cork. Not too sure he promised wife Maudeline that he’d stop taking kit from the kitchen. The hair-drier has been used to heat surfaces so that labels can be applied to the gin bottles and a food mixer had also been pressed into use. He did promise that we’d be drinking his rum in three years time! And that is just one development that this inventive and busy couple have up their sleeves! We gathered outside the gable end of The Spaniard ahead of crossing the road into Man Friday where son Daniel is continuing his take-over in the kitchens. There is a great view from the part of the dining room where our group of thirty plus were seated but soon all eyes were on the plates. We nibbled away on some very tasty charcuterie as we studied the menu and sipped the wines. 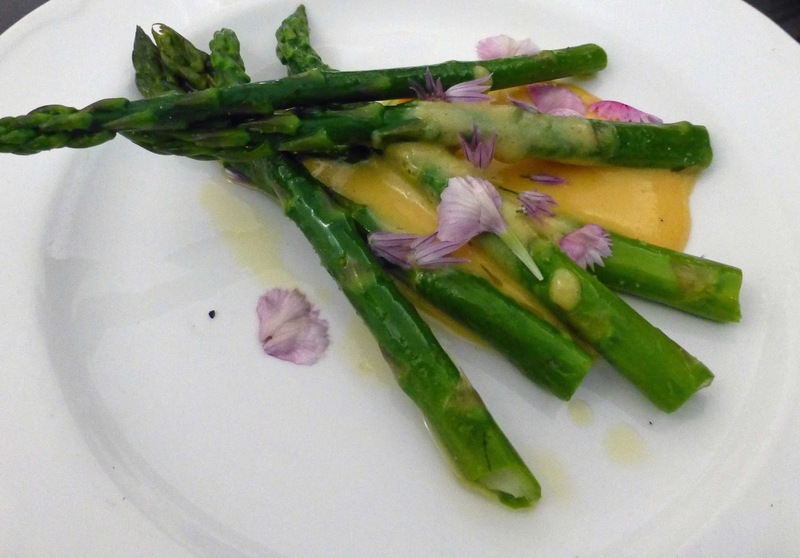 My starter was the New Season Asparagus with Stonewell Cider Hollandaise and edible flowers. All eminently edible! Also enjoyed around me were Sea Bass Carpaccio with mango, baby coriander & lime and the Bruschetta with Macroom Mozzarella n’duja, courgette, rocket and fennel. The high standard continued with the main course where my pick was the Local Cod with cauliflower purée, shaved asparagus, fennel, radish, peas, chilli oil and a beurre blanc. Great reports on the Slow Cooked new season shoulder of lamb with wilted spinach, roast Jerusalem artichoke, agresto and crème fraiche. The finalé was the Almond and Rhubarb Tart with vanilla ice-cream and then Daniel was persuaded to make an appearance to take a well deserved round of applause. The next event on the calendar will be the Super-Valu Wine Selection Panel in L'Atitude 51 on Wednesday May 24th. ‘Give me the wineskin and I will rinse the mouth,’ Robert Jordan said, his mouth full of meat, cheese, onion and chewed bread. 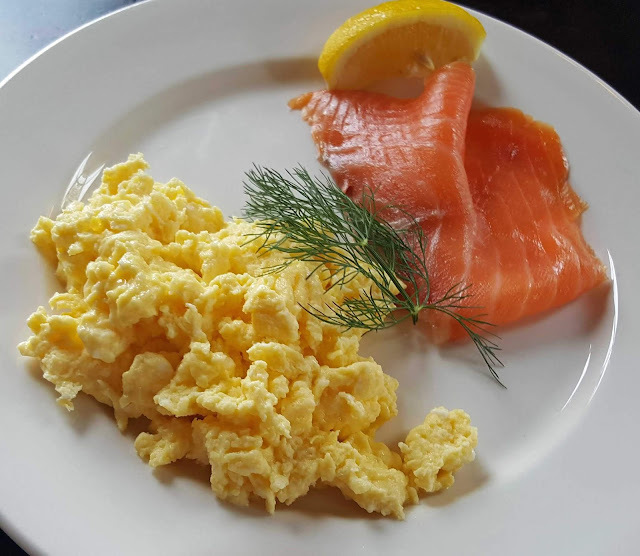 From breakfast ’til late at night Fenn’s Quay will feed you, and feed you well. Lots of menus here, including a set lunch and an Early Bird. That Early Bird is, unusually, available on Saturdays up to 6.30. 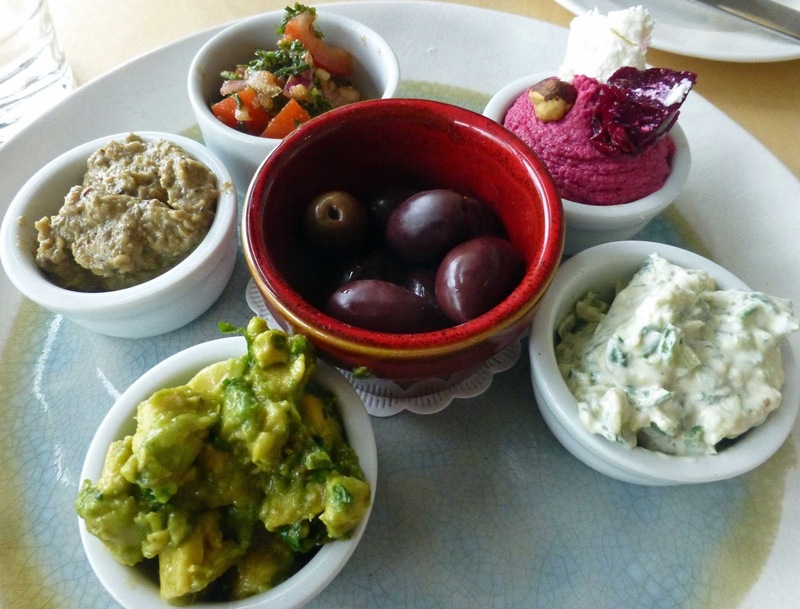 It is good value and has quite a few dishes from the A La Carte. As it happened, it was the A La Carte that we concentrated on last weekend. We noticed some dishes that are almost fixtures here, such as the O’Mahony's Feather-blade and the same O'Mahony’s Collar of Bacon. 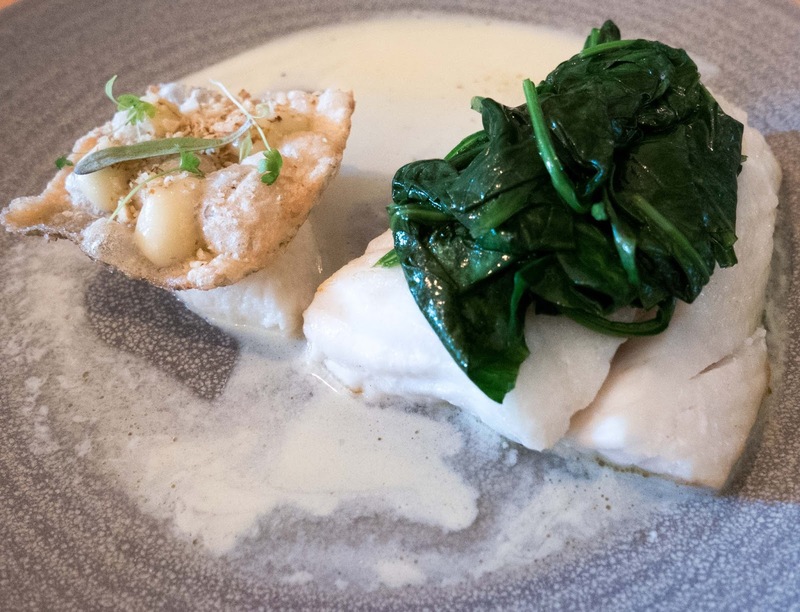 But there is no shortage of variety in Fenn’s Quay, once you factor in a packed specials board. And, conveniently, they also include a written list of the specials as well as the traditional blackboard. We tend to make good use of the specials and we did so here as well, though neither of the starters featured on the board. CL choose Cork Dry Gin and Beetroot cured salmon with buttermilk dillisk and cucumber pickle (€10.00), a very well judged combination, very tasty indeed. 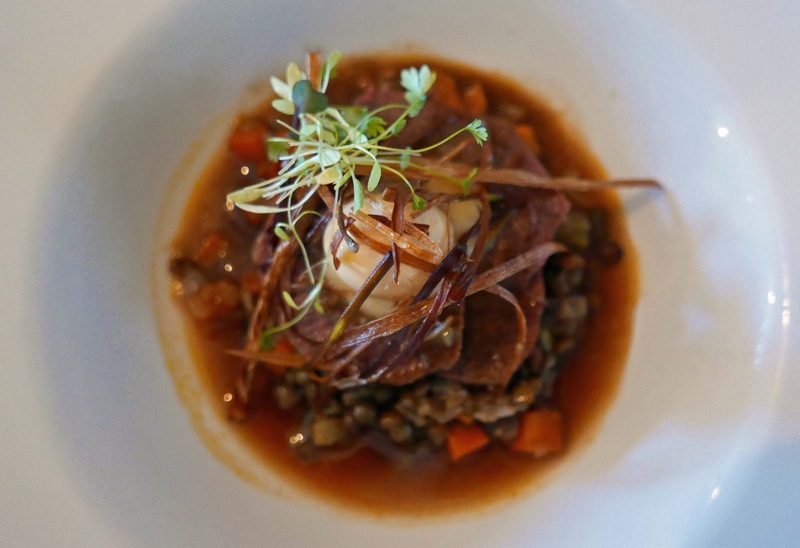 I was delighted with my Braised lentils and beef tongue with pickled quail egg (€10.00). The broth or jus - I used some of their well-made bread to mop it up - was full of the flavours from the tongue and the lentils and the quail was the first of my Easter eggs. Happy out! We had been tempted by one of special starters, a Fish Platter with O’Connell’s smoked salmon, smoked mackerel, fish croquette and beer battered cod. 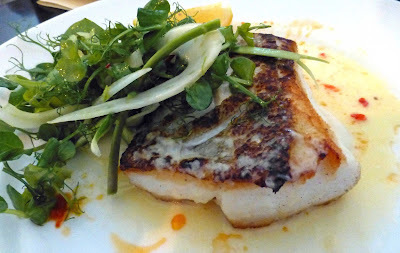 We would though have O’Connell's cod on the double as we agreed on the mains, the Fish of the Day special (19.00). Details are: Cod, spinach, cod skin and cod purée, served with roasted cauliflower florets and peas. All added up to an exquisite dish, the fish as fresh as could be and cooked perfectly and that cauliflower was excellent. The dessert special was another winner: Bewley's Pannacotta with dark chocolate and brandy mousse (€6.50); had an idea this was going to be delicious (and it was!) and so we left the popular Mimi’s Cork Dry Gin and Tonic Dessert behind! They have a short but well judged list of wines here, some available by the glass and most, if not all, by the carafe and bottle. And also they had a couple of specials on the board. 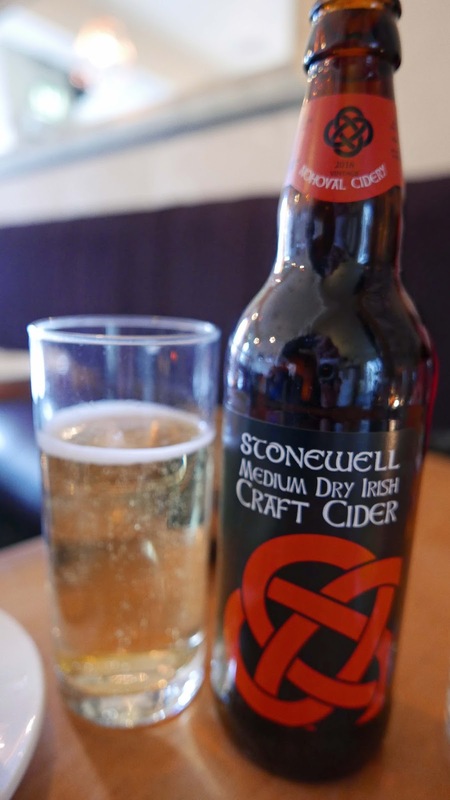 Unusually, they also have a list of craft beers, Blacks and Mountain Man among them, but I went for a regular favourite the Stonewell Medium Cry Cider (€6.50). Food and presentation was top notch, service too and so it was a happy if overdue return to No. 5 Fenn’s Quay. Very Highly Recommended. Cooper Ger Buckley with a stave secure in his "horse"
“You can take whiskey out of wood but you can never take the wood out of whiskey.” This was a quote in the sales literature when, a year or two back, Irish Distillers launched their Cooper’s Croze (one of a trio that also included the Distiller’s Safe and the Blender’s Dog).The influence of oak can be seen in the Croze through it’s vanilla sweetness, rich fruit flavours, floral and spice notes. Last week I had the privilege of seeing Ger Buckley, the master working cooper at Irish Distillers HQ in Midleton, in action, a bottle of the Croze he produced in the background and a croze in his hands. A croze? Ger has used a croze all his working life. He uses it to cut the grove along the top of the staves to hold the head (the circular cover) in place. It is an old and simple tool, just like his other key implements, the hammer and the driver (both heavy), the carving axe (bevelled on just one side) and the adze (a shaping axe). The hammer, the axe and the adze are ancient tools, sacred tools in some cultures around the world. 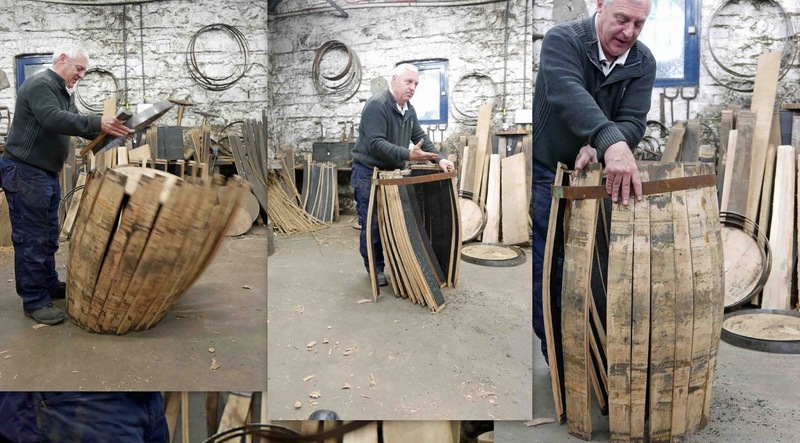 Remember, there is no measuring in the cooperage, all done by eye, but each barrel or cask has a related compass. Other tools include the dog (used to insert the reed that makes a seal between upright and horizontal) and the horse and a stationery plane. 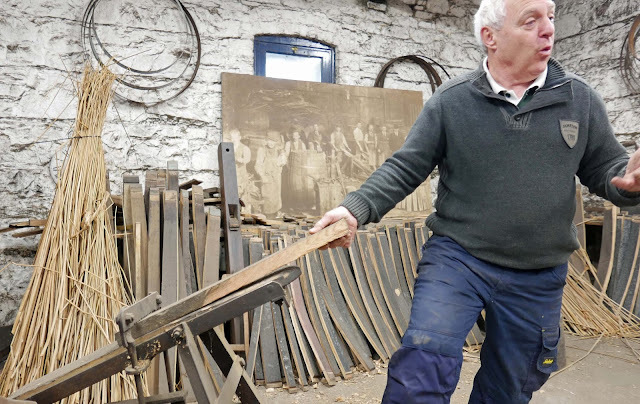 Our opening sentence indicates the importance of wood in the whiskey making process. Ger will say that it accounts for more than fifty per cent of the input to the final bottle and many distillers will agree with him. Ger, a 5th generation cooper, had (up to a month ago) only ever used white oak. 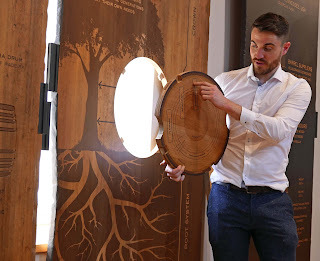 Very recently though, in Irish Distillers’ new innovative series Method and Madness, one of the whiskeys was finished in a Sweet Chestnut Cask. Both the American bourbon barrels and the Spanish Sherry butts are made from white oak but each performs very differently. 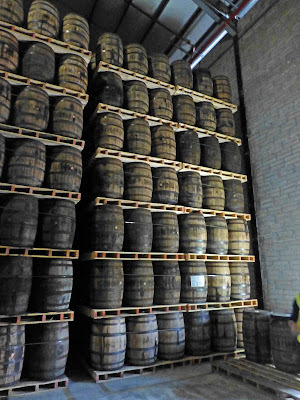 Vanilla and caramel are among the flavours that the American version contributes while dark fruits (such as plum) and sherry flavours come from the European cask. 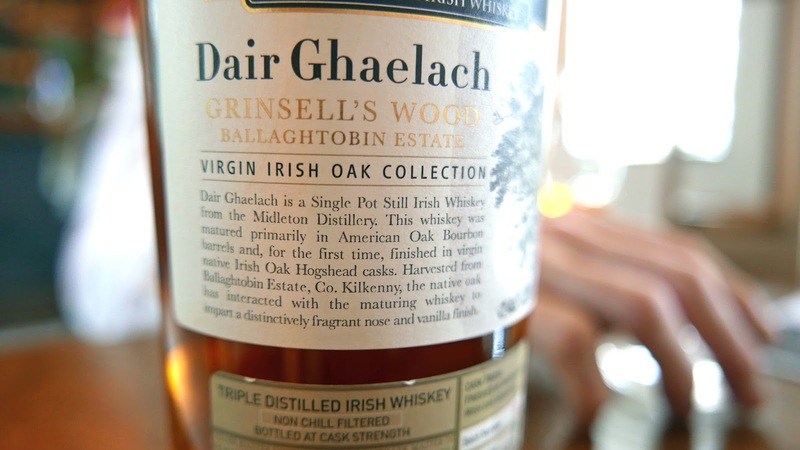 Recently, for the Midleton Dair Ghaelach whiskey, Irish oak, from ten trees, was used. The cooper told us that it is very sweet (there is sugar in oak! 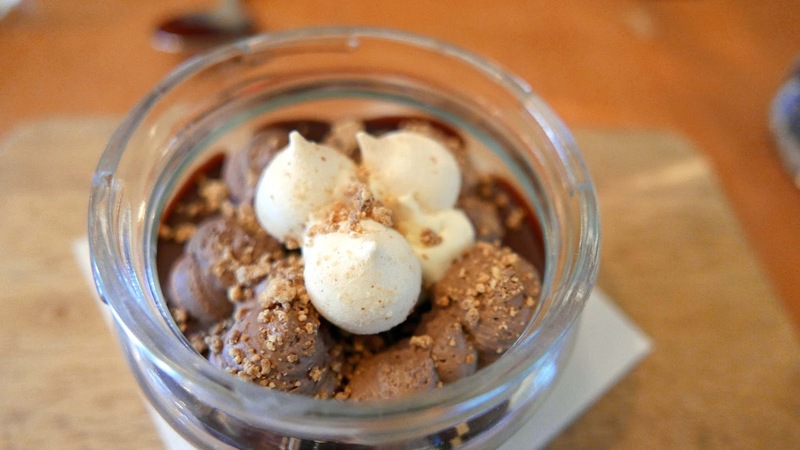 ), chocolate too and vanilla, closer to the US than Spain. Ger collapses cask and re-assembles it, all in a few minutes, talking all the time! 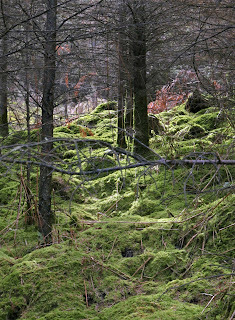 And this diversity within the forest is good not just for the wood and its creatures but also for the distilleries, and anyone else who needs good timber. 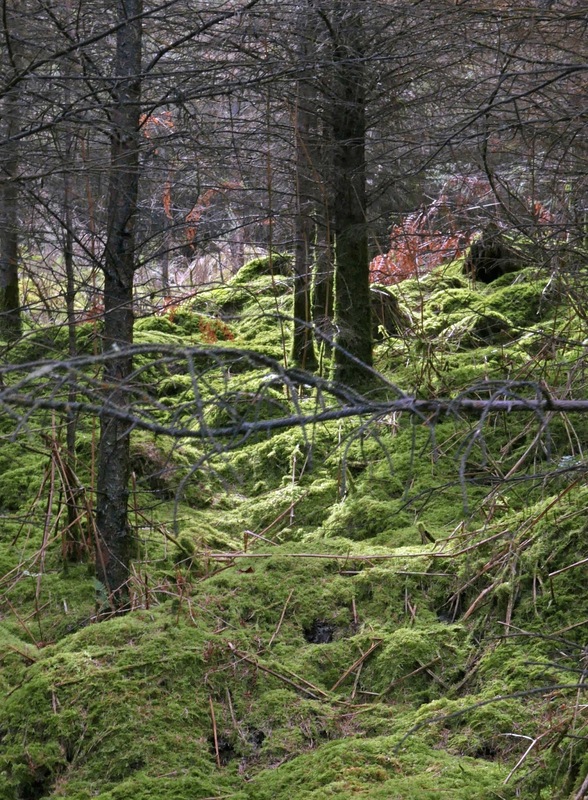 “We are looking for a large beam of oak.” And that is achieved by planting other species, beech for instance, close to the oak which then is forced to expand straight up and grow as a beam! Oak for the cooperage is the most expensive. There must be no defects. The method of sawing, called quarter sawing, also leads to waste but it doubles the strength of the wood. Ciaran O’Donovan makes a point about oak in the Whiskey Academy. Good and all as the oak is, it is not perfect. Leaks do arise and most of these can be repaired quickly and without too much loss. But no one had yet found a solution to evaporation. It is about 2% in Ireland, about 30,000 bottles of Jameson a day! That is not too bad, compared to hot climates. In Tennessee it can reach 7%. 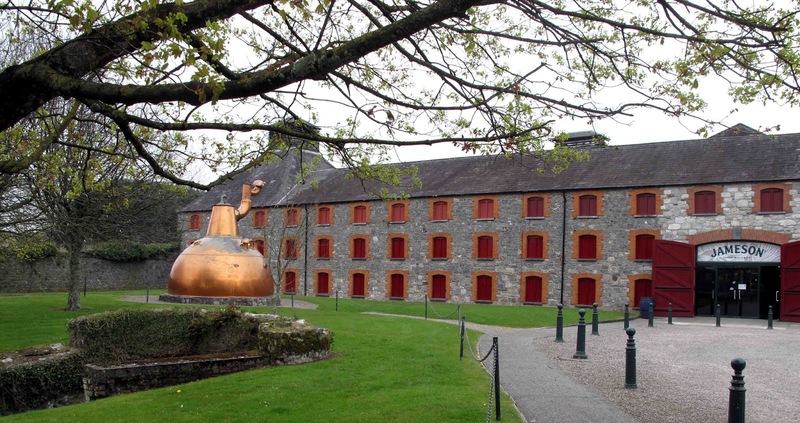 All around the world, whether the distillery is producing brandy, whiskey or rum, the angels get their share! Ciaran O’Donovan. of the Irish Whiskey Academy, who led our group in the 2-day immersion in all things whiskey, also filled us in on the importance of the wood (of oak in particular) saying 60% of the flavour comes from it. 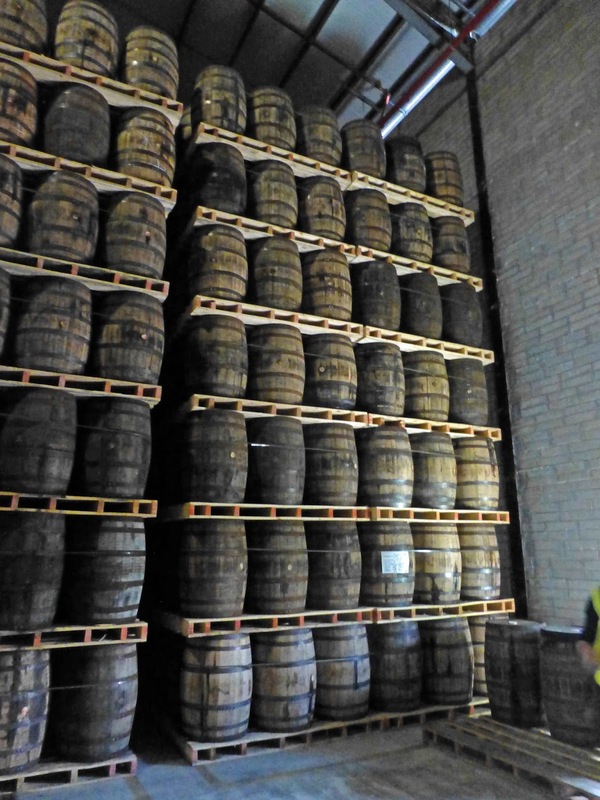 Did you know that Irish Distillers bring in about 140,000 barrels (with their internal surfaces charred) from America each year, swamping the few thousand Sherry butts (toasted internal surfaces) that come from Spain each November. By the way, these butts belong to IDL from the very start. 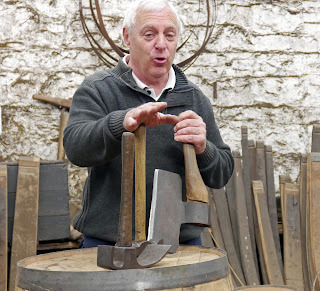 They buy them in the north of Spain; they are then taken down to the south, to Jerez and filled with sherry; after a few years they arrive in Midleton. Interestingly, when they come they will have up to five litres of sherry inside! 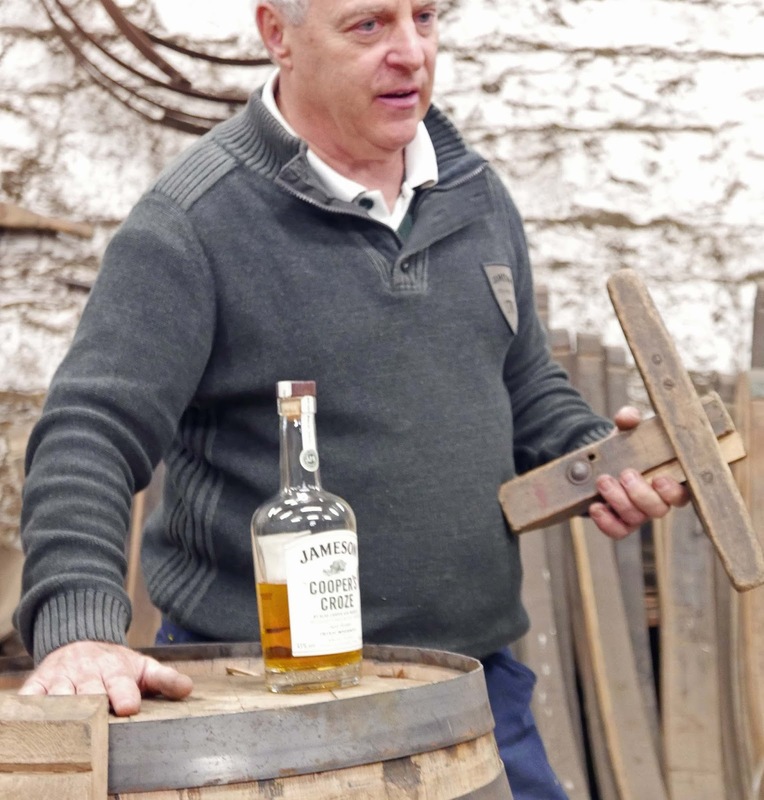 Ciaran called the sherry barrel a "work of art" compared to the bourbon equivalent which, by comparison, has a lot of mechanisation in its production. The butts (500l) add colour and tannin and flavours of dried fruit, nut, fig, even Christmas cake. The once-used bourbon barrels (200l) are empty! They have been especially sourced by three companies in the US and must be top class. Key flavours here are toasted wood, sweetness and vanilla. IDL also source casks from other countries: Port pipes from Portugal, drums from Madeira, casks from Malaga (Green Spot 12 yo), casks from Marsala in Sicily, and wine barriques from Bordeaux (Green Spot Leoville Barton). And the Irish oak? Well, we did get a chance to taste the Midleton Dair Ghaelach, matured in Bourbon casks and finished in Irish oak, a “project at its beginning”. It has a lovely nose, unique colours, vanilla and sweetness are prominent. In the cask, the young spirits will have a strong distillate character. The longer it spends in the cask, the greater the influence of the wood, and the more complex it becomes. The task for the distiller is to strike a balance between the two. I reckon they get it spot (excuse the pun) on most of the time in Midleton.